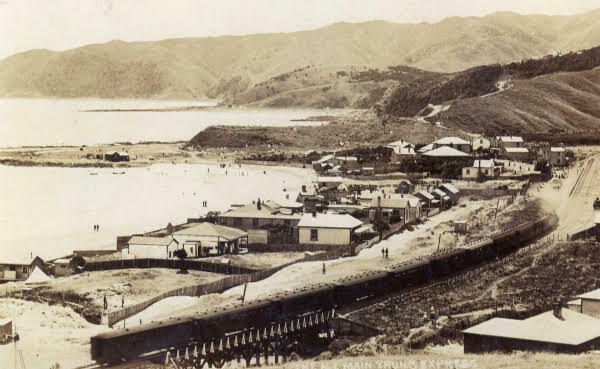 In another link to its history, Exnells is situated in the Tauranga Waka area of the beach near where Te Rauparaha’s kainga was, near South Beach Road. Exnells current owners whakapapa to Ngāti Raukawa and link through marriage to Te Rauparaha. Alice Coombs daughter, Alice Elizabeth married James Mottershead ( Ottie ) Collins who was great great grandson of Te Akau, senior wife of Hapekituarangi. On his death Te Akau married Te Rauparaha and accompanied to Kapiti. In 1981 Exnells was bought from the Coombs Estate and sits with the current owners all of whom whakapapa through to Meretini Te Akau ki Tuarangi. Meretini was first married to Te Rauparaha. Included in this group was the late Crenold (Cren) Collins, well known Plimmerton resident, PRA and Croquet Club member. Exnells will be 120 years old in 2017.